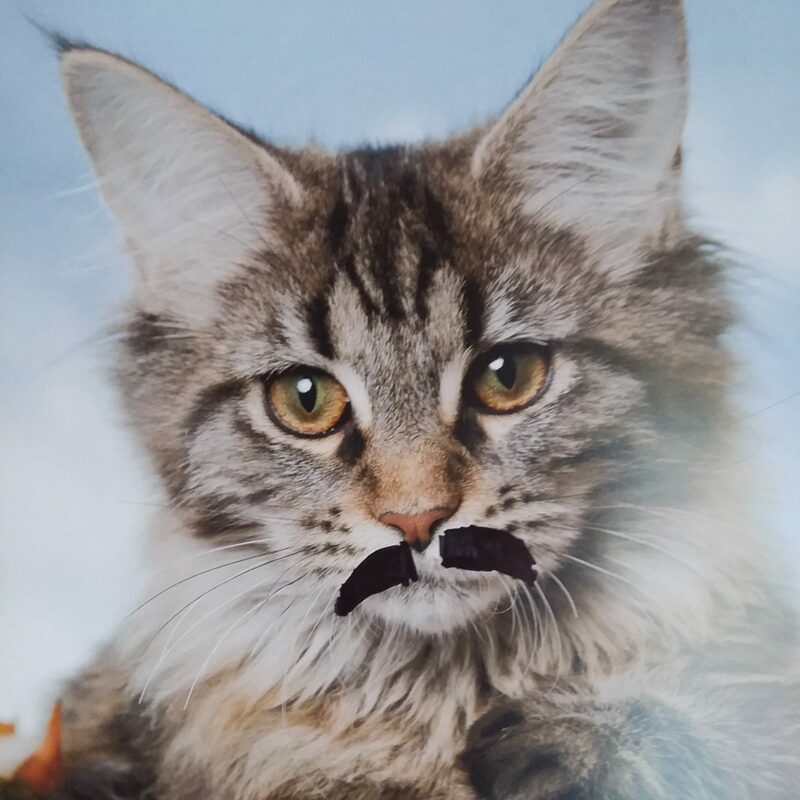 Right now, the cat on the calendar has a better ‘stache than me. It started with some of the basics: what to expect; a timeline of recovery, etc. And then it got a little weird. Without divulging personal details about the most personal of things, the conversation centered on the male body part. So, there we are, in the living room and my friend and my father are talking about their…I just can’t say it. Men don’t ask for help. Help isn’t always somebody carrying the load for you. It’s not about performing surgery to fix things. Help can simply be a kind and sympathetic ear from a friend or, if possible, somebody who’s been down the same path. Again, I can’t put it in writing. But I think you get it. If you would like to help raise funds and awareness for prostate and testicular cancer, as well as other men’s health issue, please go to my Movember site. No donation is too small or too large. As for my friend, his doctors are still figuring his next move. He, too, is growing a mustache this Movember. More importantly, he’s part of the conversation now. If you would like more men to get the help they need when dealing with prostate cancer, please donate to Movember this month. Here’s the link to my Mo Space. Yes, that’s harsh as well. In fairness to the “Subject Lines” section, it plays just as big a reason for people not reading your e-newsletter. How a piece looks can be just as important as how it reads. That does not necessarily mean a lot of glitz and glamour, bells and whistles. Most times, a newsletter simply needs a clean look with stories and images laid out in a logical order. If you do not have the skill set to use the templates e-mail marketing companies like Constant Contact, Vertical Response and any of the dozens of others offer then ask for help. Typically, those companies will customize a template for you. You may also want to consider contracting a freelance graphic designer or web designer. Here’s one caveat. Writing and designing newsletters are both specialties. Expecting staff you hired for other reasons to produce a newsletter as good as people who do this stuff for a living is a bit unrealistic. Not to mention how creating the newsletter might negatively affect your day-to-day operations if people you hired for one reason are working on a newsletter. Without knowing your budget, it’s easy to say, “contract it out.” Particularly if you do not know anybody who does that sort of work (chambers of commerce are a great place to start if you don’t). But if you do not have the staff and your budget can stand it, it will be worth it. In general, the pros do it better and faster. Templates from companies like Constant Contact, MailChimp, Vertical Response, etc. continue to improve and be more user-friendly. Some of these companies will even design the template for you for a fairly modest price. Constant Contact, in particular, offers design services and phenomenal customer support. If you can’t do it, they will literally do it for you. 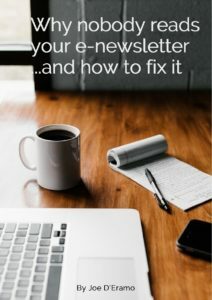 This blog was taken from Nobody Reads Your e-Newsletter…And How To Fix It.